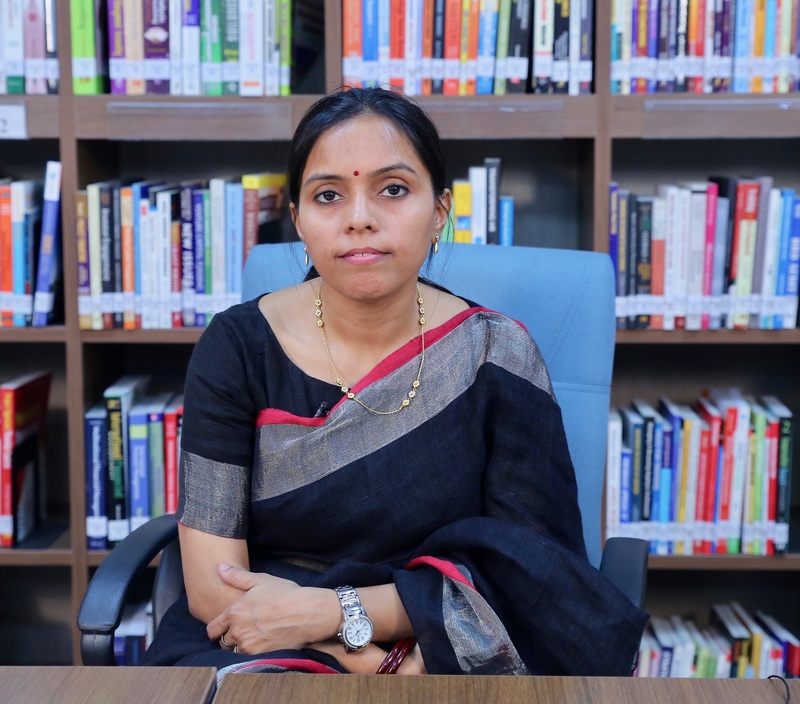 Prof. Amrita Dhiman hold a Bachelor degree in Agriculture from G. B. Pant University of Agriculture & Technology, Pantnagar and PGDM with specialization in Agri Business Management from VAMNICOM, Pune. She has been awarded Chancellor's Gold Medal for being the all-round best graduating student of GBPAUT. She is also a recipient of Gold Medal for being topper of her PGDM batch at VAMNICOM. She brings with her an extensive field experience and understanding of working with corporates to government institutions including district administration for more than 7 years. She started her career with a field job of Marketing & Recovery officer with State bank of India. Post masters through campus placement she joined Karvy Comtrade Ltd. at Hyderabad and established herself as a Research Analyst for agri commodities. While working with Mahindra & Mahindra Limited at Mumbai, she has been involved in strategic planning, implementation, corporate communication, marketing and branding activities. Prior to joining DMI, she has been working with District Administration in Gaya as a Prime Minister's Rural Development Fellow (PMRDF). As PMRDF she has functional in a lot of schemes like MGNREGA, IAY, SBM, PMAGY, NSAP etc. The most explicit role played is of documenting the initiatives, taken up in the district for improved governance and outreach. Different articles written by her about the initiatives have also been published in government newsletters/websites like "Kaam Mango Abhiyan" in Samriddhi newsletter of RDD. A number of articles written by her has been published in Invest & Harvest & The Finapolis. Farm and Off-Farm Livelihoods, Agri-Business Management, Initiatives to increase the outreach of government schemes, Convergence, e-governance and Management of Collective Enterprises. Contributed in developing an illustrative comic book for Mukhiyas titled "Mukhiya Didi"